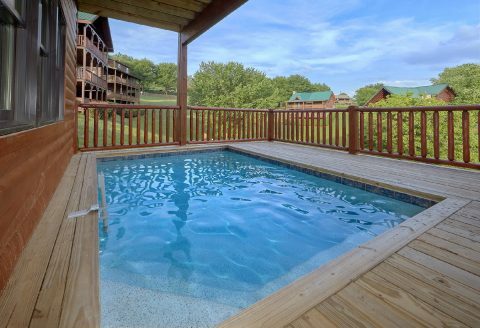 Come experience true cabin luxury when you book "Poolside Lodge" in Pigeon Forge, TN! 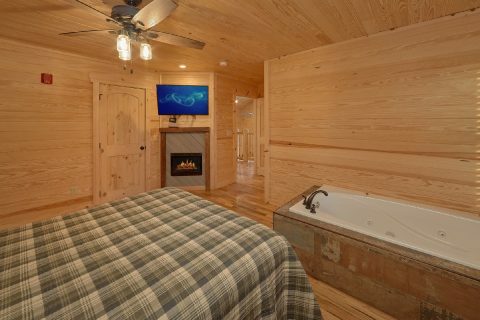 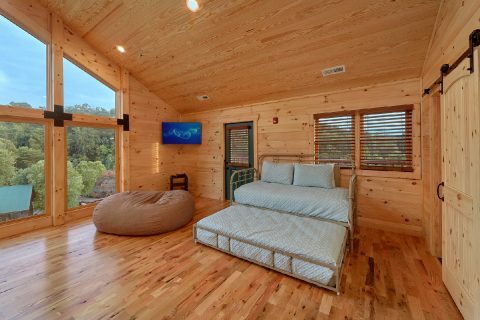 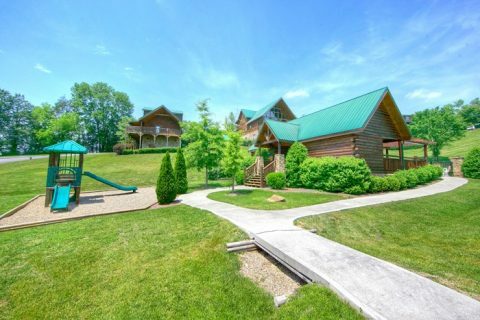 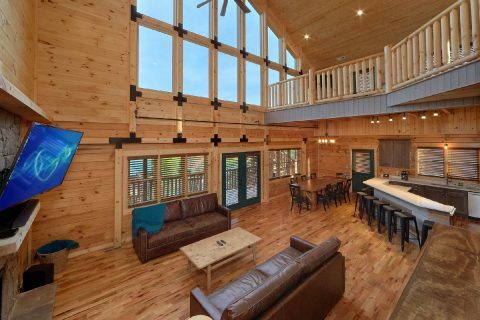 This spacious 7 bedroom cabin sleeps up to 19 guests in comfort, so it's perfect for a family vacation or a fun getaway with friends in the Smokies! 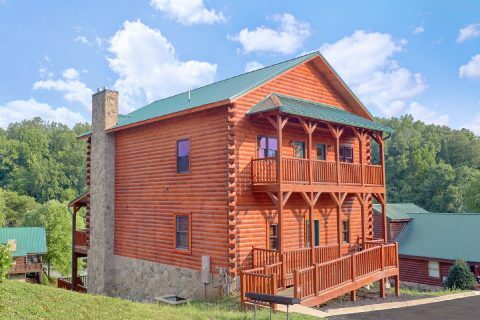 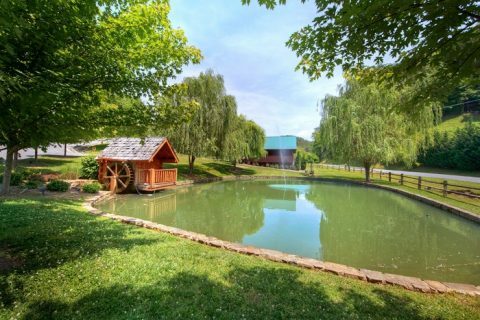 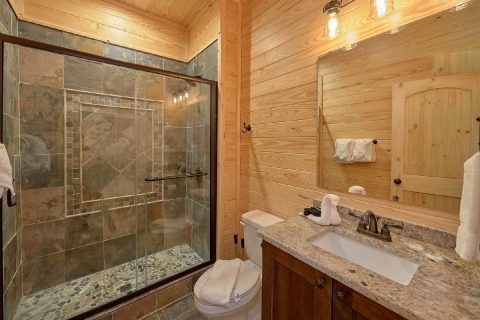 With a lovely location in the Cabins at the Crossing Resort area, this convenient cabin rests less than 2 miles from the Pigeon Forge Parkway. 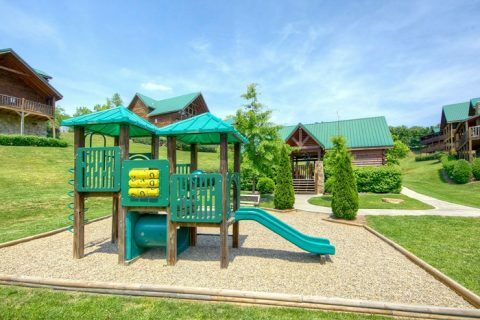 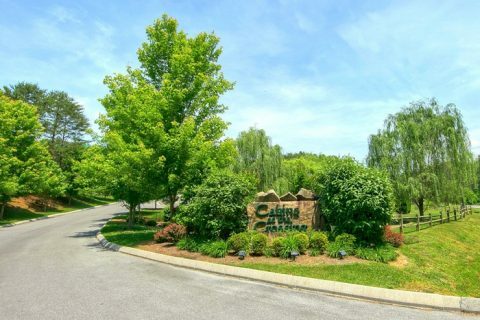 As a result, this rental keeps you close to excellent attractions like The Titanic Museum, Dollywood, and The Island in Pigeon Forge! 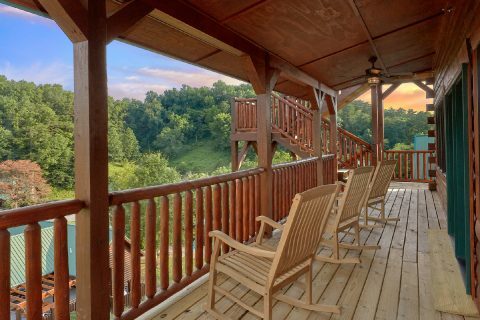 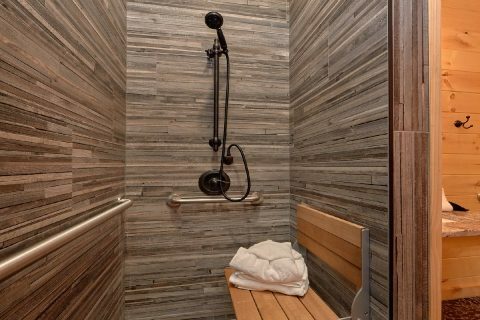 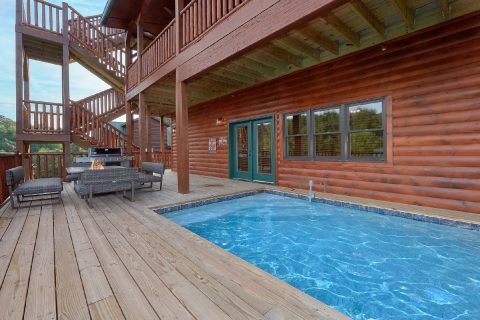 When you aren't busy exploring the best attractions the Smokies can offer, you'll love relaxing at your impressive cabin that boasts a deck that overlooks the nearby resort swimming pool that's available during the warm, summer months. 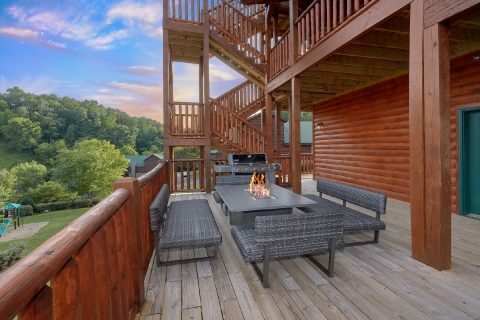 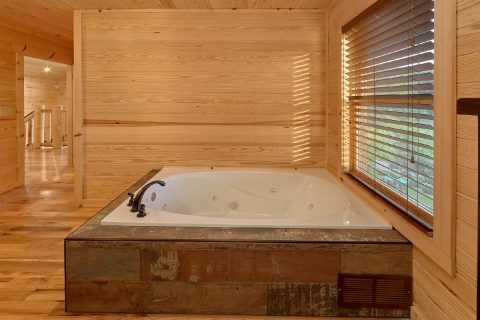 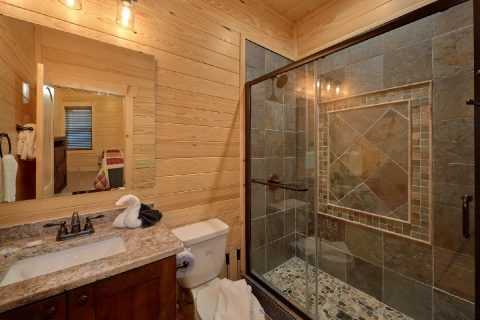 This cabin's back deck is perfect for enjoying a beautiful day in the Smokies since it offers a gas fire pit and a private plunge pool for taking a refreshing dip! 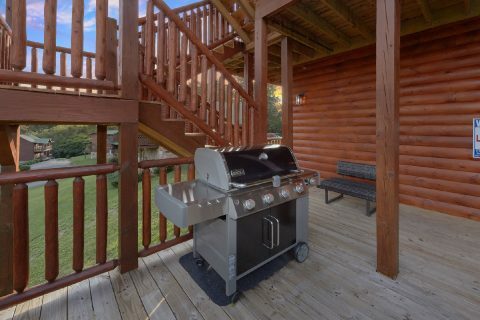 There's even a gas grill you can use for hosting your own summer cookout. 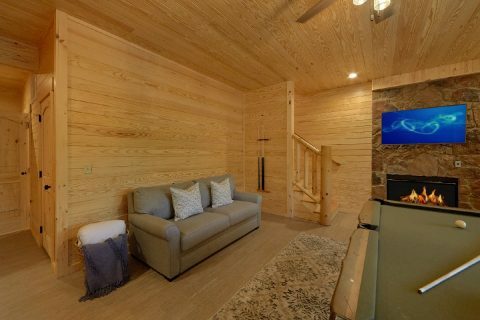 Inside on the main level, you'll find a welcoming living room area, a full kitchen and a dining area for making delicious meals during your stay. 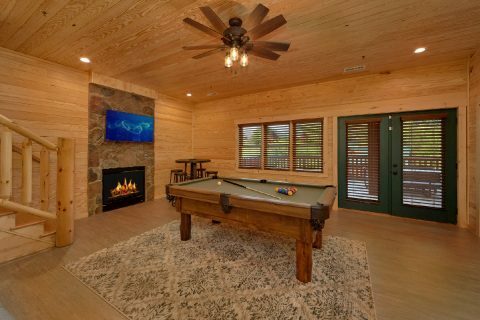 For some in-cabin entertainment, you can head downstairs to the lower level game room that features a pool table and a gas fireplace. 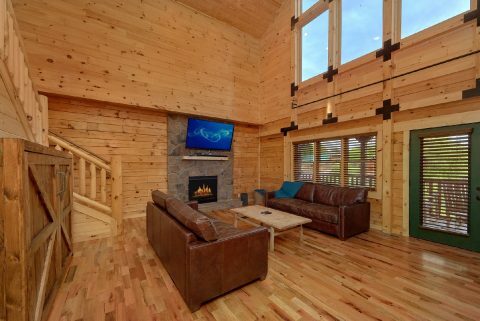 This floor is also home to a fully-equipped theater room for enjoying your favorite movies in comfort and style. 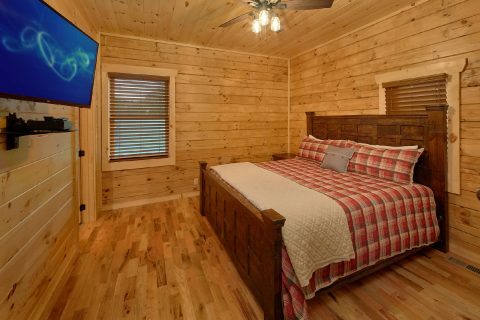 Once you're ready to get some rest on your vacation, you can look forward to staying in one of this cabin's 7 bedrooms. 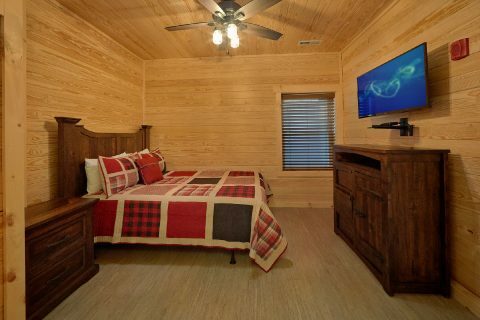 The main floor is home to 2 king-size bedrooms with private bathrooms. 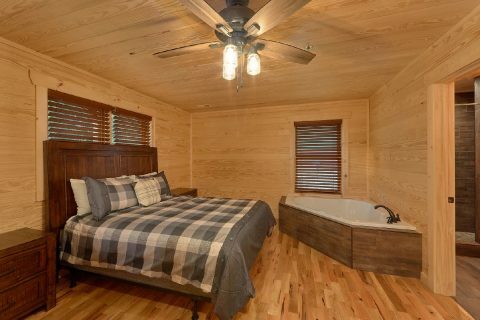 On the upper level, you'll find 2 bedrooms with queen-size beds and private jacuzzi tubs. 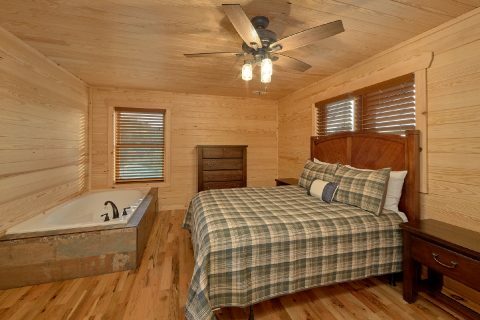 In the loft area, there's a trundle bed, a twin-sized day bed with a pull out twin-sized bed to accommodate extra guests. 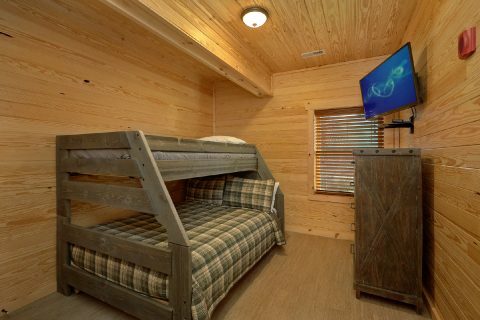 Downstairs, there are two more queen-size bedrooms, a bedroom with a twin over a full bunk bed and a sleeper sofa in the game room area. 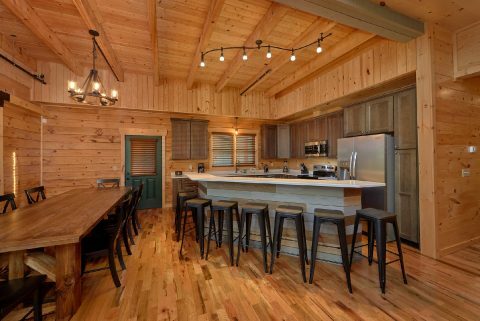 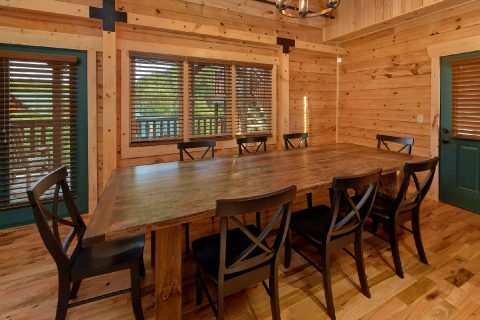 Altogether, this spacious Pigeon Forge cabin sleeps up to 19 guests! 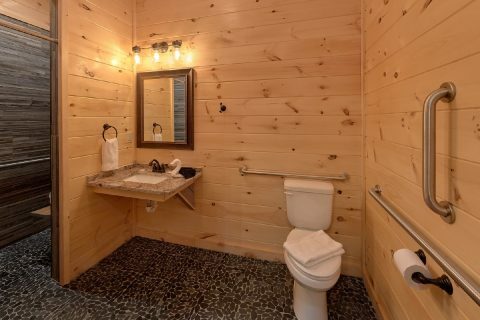 Need more space for your group? 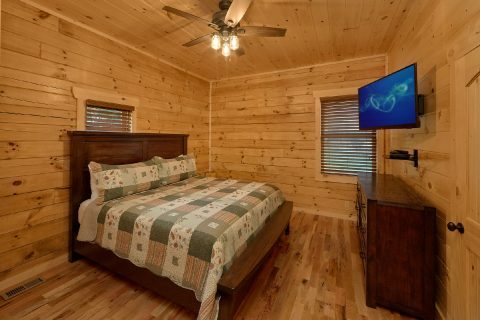 This cabin is located near another rental property called "Poolside Cabin" that can be booked as well. 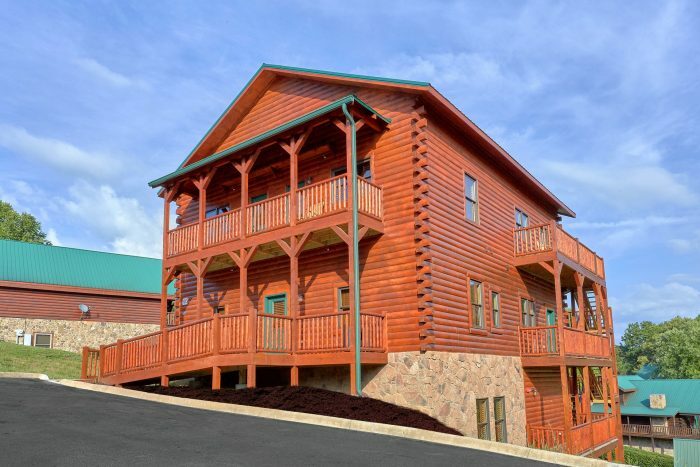 Feel free to contact our helpful reservations office if you want to plan a multi-cabin vacation! 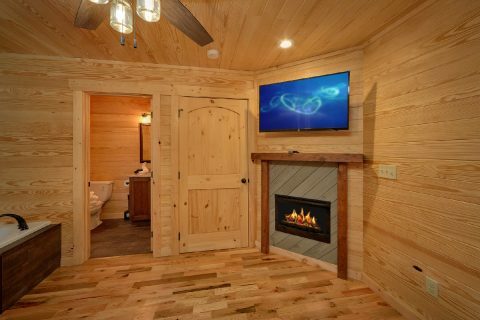 Lastly, this cabin comes complete with practical amenities like WiFi Internet and a washer/dryer for you to use during your stay. 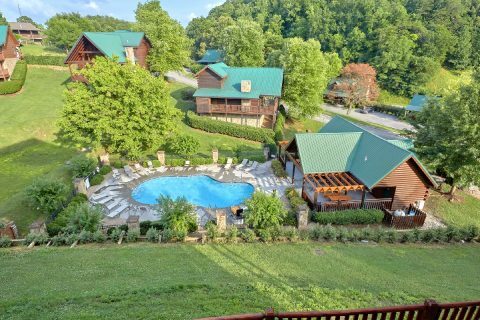 Start planning an unforgettable vacation to the Smokies when you book "Poolside Lodge" with Cabins USA! Best of all, you'll save 15% on your nightly rate with our special cabin discount! 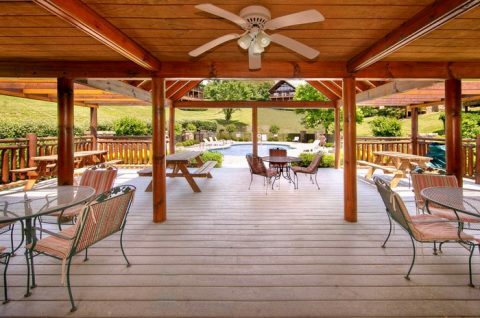 To view this virtual tour, simply click "Explore 3D Space." 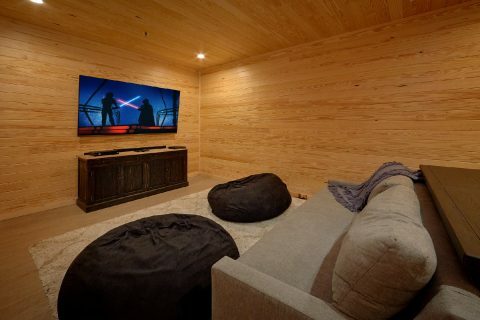 To view in full-screen mode, press the icon located in the bottom right corner of the 3d showcase. 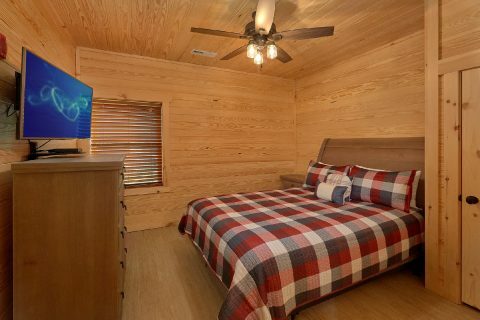 For "Dollhouse Mode," click the icon in the bottom left corner. 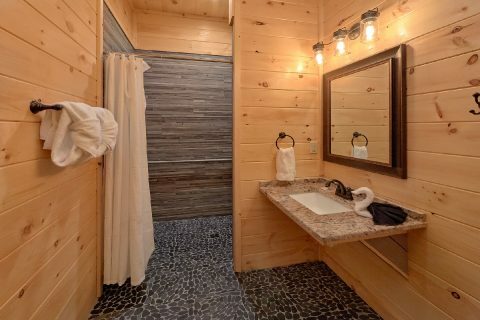 There is another icon here for viewing in first-person mode. 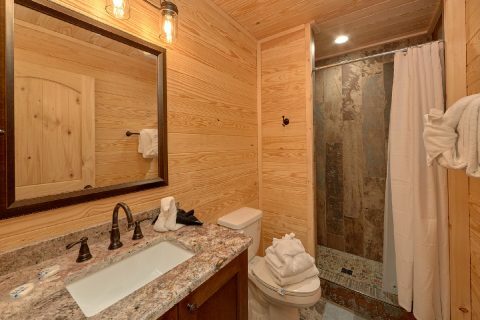 In the lower middle of the 3d showcase, there is an icon that can navigate you to different levels of the property. 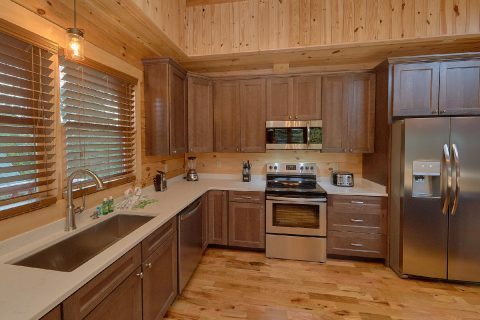 If you are using a Desktop, you can use arrow keys to aid in navigation.